The final weekly word on books I finished and books I started this week; A quick glance at my current and recent reads over Thanksgiving break. 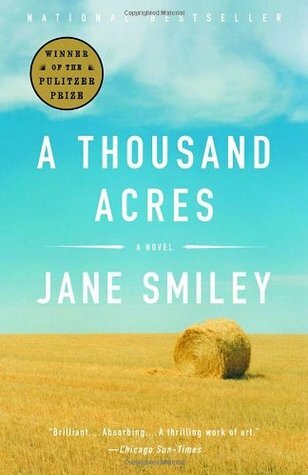 This is the retelling of King Lear set on an Iowa farm that I mentioned starting last week. It grabbed my attention and I was slightly grumpy anytime I was interrupted while I was trying to read it over Thanksgiving break. When I finished this book, I was shocked, heartbroken, and emotionally exhausted. I’m really not sure how I feel about the work as something to recommend or reread, though. It was a beautiful rework of the play, but also so…dark. I don’t typically shy away from dark topics or themes. I love Gillian Flynn, I regularly read weird books about the psychology of criminals and I’m not afraid of tough stories. But this book was rough in tragic, everyday ways without much redemption or growth. Smiley writes broken characters and doesn’t hesitate to leave them broken. I suppose it’s appropriate, given the Shakespearean tragedy she is working from, but it doesn’t make it any easier to digest. My plan was to read Wolf Hall next, but after I saw Interstellar I couldn’t help but move this up my list. The reviews are fantastic for this: I think this book has been on every “Best of 2014” list I’ve seen so far. This is a science-fiction work set on a planet that’s being colonized by a giant corporation. Peter Leigh leaves his wife behind in England so he can serve as a missionary to the alien race on this planet, Oasis. As he progresses in building relationships with the aliens, his wife’s letters from home chronicle the deteriorating conditions of life on Earth. It’s heavy. Sorry to repeat myself, but this book was also tough to pin down. It does deserves the attention it has received so far, in part because I’ve never read anything like this before. Faber tackles issues of faith, marriage, compassion, and calling without coming off as condescending. 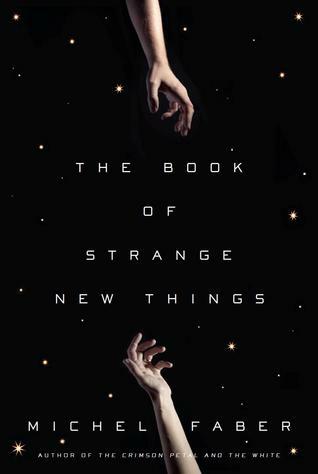 It also is unusual for science fiction (not that I read much sci-fi) to deal with religion in such a literary and realistic way. But I was left without so many of the answers I was hoping for in the story. In the end, if you come to the book for the philosophical dilemmas it explores, I think you will be satisfied. If you want to be swept up by a captivating story with clear resolution, this isn’t it for you. Not that Shades of Gray. Sorry about that. Instead of raunchy Twilight fan fiction, this one is a humorous dystopian fantasy. It takes place in a society where the ability to see higher ends of the color spectrum means you have a higher standing in society. At 21, young adults are divided into this caste system based on the strength of their perception. Marriages between those in the primary color groups are often arranged in hopes of producing a ‘secondary’ child who will have heightened status because they can see purple or green or orange at a higher level. Marriage between complementary color castes are also forbidden for fear that the offspring of these unions would have no color sight. Also, for some reason, spoons are a status symbol. Shades of Grey (again, please, not that one) is clever but also absolutely ridiculous. Did I mention spoons are a hot commodity? There’s a whole part of this world that’s built around utensils. It’s a fun, for adults version of the dystopian fantasy that’s over-saturating the market right now. 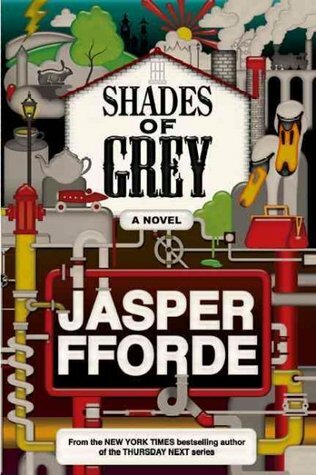 Supposedly it’s the beginning of a trilogy, but there’s speculation that Fforde abandoned that plan. In summary, this one was odd, but still entertaining. Not one I would buy, but a fine read if you are looking for your dystopian fix beyond middle grade and YA fiction. After three somewhat odd reads I decided to switch it up and change gears by reading something other than recommended fiction. Does anyone else read nonfiction as a form of cleansing your literary palate? Or is there something else you switch to as almost a form of reset? I could be an anomaly in that, but I hope I’m not alone in revealing my weirdness to the blog-reading public. When I was a kid I would binge read Archie comic digests to get rid of any emotional residue left over from a particularly emotional or disappointing book. At some point I started dramatically switching genres instead. Probably a natural part of maturing my reading…though I still wonder if Archie ever got his act together or if Betty and Veronica just told him to get lost. Ed Catmull is the founder of Pixar and current president of Disney Animation. My boss lit up when I told her I was starting the book, so I’m extra motivated to read it quickly. So far he’s discussed how table design can mess with creativity and what a pain it was to work with Steve Jobs. Seems promising! Did you come across any great reads on your Thanksgiving break? Any feisty battles break out over turkey and stuffing about unresolved family issues in A Thousand Acres as compared to King Lear?